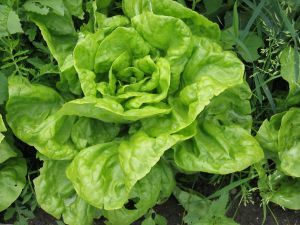 Make your own NObunwich by wrapping your favorite ingredient combination with BIG lettuce leaves. This awesome recipe is courtesy of Jen Ozick. Read more about here here. Roast beef, smoked ham, caramelized onion, Monterrey Jack, Cheddar Cheese, BBQ sauce and mayo. Smoked ham, provolone cheese, lettuce, tomato, & mayo! Roast beef, ham, provolone, Dijon mustard, lettuce, tomato, & mayo. Roast beef, provolone, lettuce, tomato, & mayo. Turkey breast, smoked ham, Swiss, lettuce, tomato, and mayo! Turkey breast, provolone cheese, avocado slices, sliced cucumber, alfalfa sprouts, lettuce, tomato, and mayo! Provolone, Swiss, humus, avocado slices, sliced cucumber, alfalfa sprouts, lettuce, tomato, & mayo. Roast beef, turkey breast, lettuce, tomato, & mayo. Homemade chicken or tuna salad, provolone, alfalfa sprouts, cucumber, lettuce, & tomato. Turkey breast, bacon, lettuce, tomato, & mayo. Smoked ham and bacon with lettuce, tomato & mayo. Chicken breast, buffalo wing sauce, Monterrey Jack, Cheddar Cheese, lettuce, tomato, red onion and blue cheese dressing. Roast beef, caramelized onions and bell peppers, Provolone Cheese. Chicken Breast, Swiss cheese, caramelized onions, sauteed mushrooms, & brown mustard. Grilled chicken breast, bacon, Mozzarella cheese, fresh spinach, sliced tomato, red onion slices, & mayo.